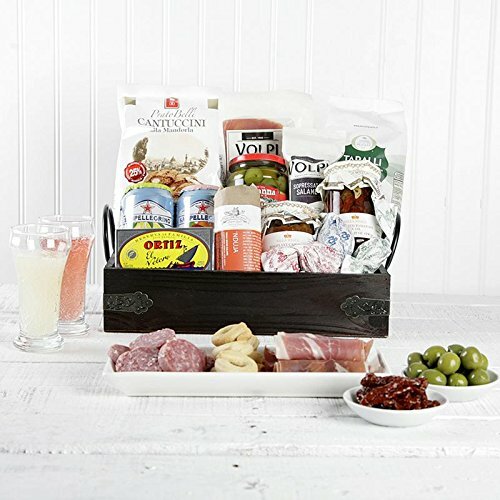 This 11 piece gift set is a tour of classic and unique antipasti flavors, ideal for special celebrations. We've selected unique, hard-to-find antipasti delights like savory eggplant caponata, bold Nduja spreadable salami, Ortiz sardines, Castelvetrano Olives, Volpi cured meats, Prato Belli Cantuccini, and more. A authentic assortment of Italian specialty snackables. If you have any questions about this product by DITALIA, contact us by completing and submitting the form below. If you are looking for a specif part number, please include it with your message.